If I had to recommend one holiday gift for busy folks to make, it would be this one right here. 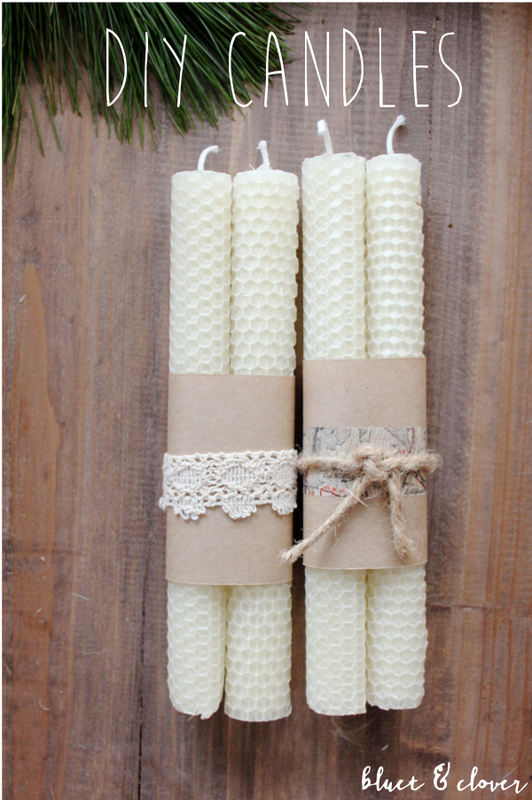 Hand-rolled beeswax candles are not only super easy to make, but they look like they came straight from a gift shop. You can customize the packaging to fit your friend's style, too. I used some kraft paper, washi tape, twine and lace for the final touches on mine. 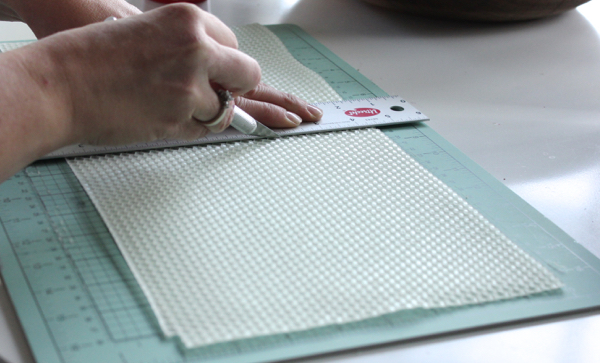 The star of this craft is the beeswax craft sheets. Mine are from Brushy Mountain Bee Farm. I've ordered from them in the past and I'm always happy with their products. 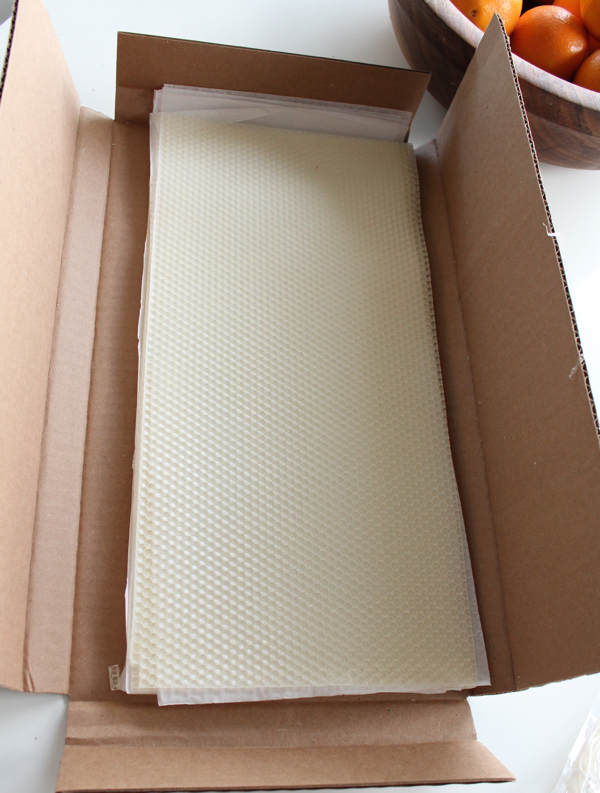 When your beeswax sheets arrive, they'll look like this. I did take a bit of a risk by ordering these after temperatures dropped. It's recommended that the weather be above 40 degrees F, otherwise the delicate sheets could crack. It was around 35 degrees when these arrived, but they turned out fine. Needless to say, bring your beeswax sheets right inside once they arrive. It's very important that you let the sheets sit at room temperature for 24 hours before working with them. Kraft paper, twine, washi tape, lace or whatever else you think will look nice. 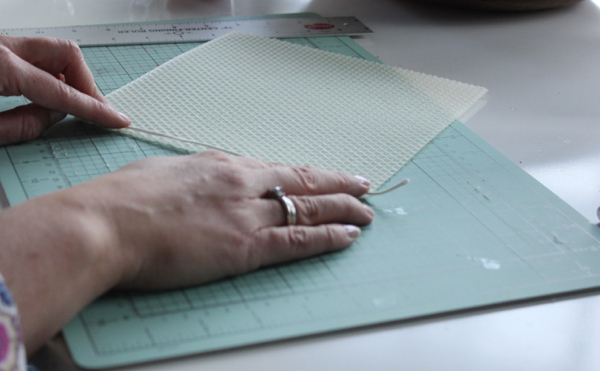 Start by cutting the wax in half crosswise (or lengthwise for shorter, fatter candles) using a ruler and craft knife. Cut wick to the length of the wax plus 1 inch and line it up with a long edge. Use your fingers to start rolling the wax. With the first roll, warm up the wax a bit by keeping your fingers on it and pressing for a few seconds. This will help secure the wick in place. 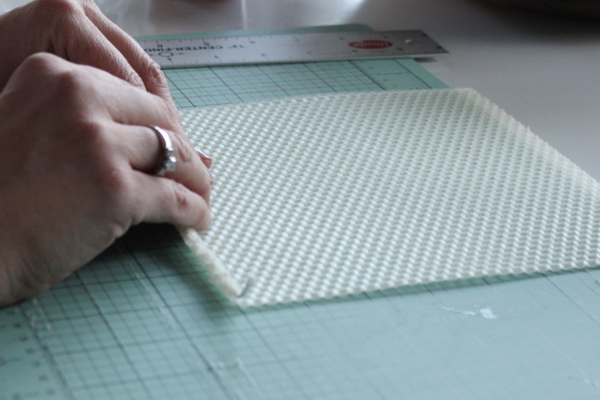 Continue rolling while keeping the long edges lined up. 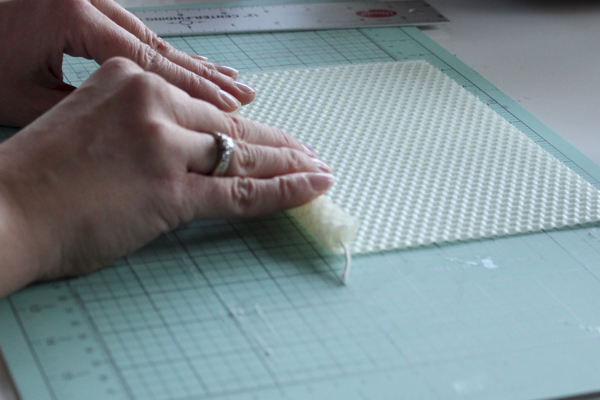 Be careful not to overwork the wax with the warmth of your fingertips. After the candle is completely rolled, use your fingertips to gently press down on the seam so that it warms up and sticks. And that's it! You can make several pairs of beeswax candles in less than an hour leaving you plenty of time to attend to your busy holiday schedule.